(CNN) -- Whenever I think about how we can stop teens from texting and driving, I think back to an interview I did with the Dunn family of Roxbury, New Jersey. Barb Dunn was doing everything right. She talked to her then 16-year-old son Daniel repeatedly about the dangers of texting and driving and she rode with him as he drove to and from school while he had his learner's permit. But when I asked Daniel if he would ever text and drive, his answer stunned his parents -- and me. "Probably," he said, although he added he didn't think he would text while "driving on the highway." 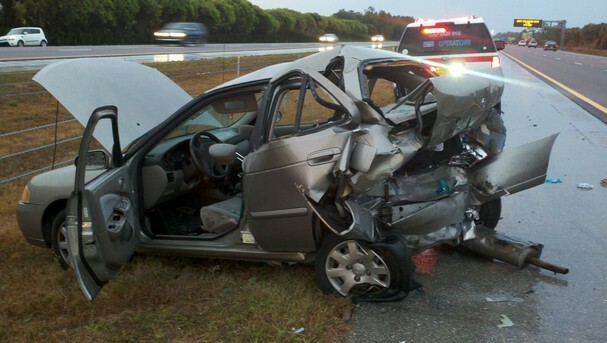 When his shocked mother pressed him about whether he would text while the car was moving, he said, "No, probably not." But he did say it would likely take a "pretty good scare" to convince him never to do it. The incident speaks volumes about how no matter how much we talk to our teens about the dangers of texting behind the wheel, the temptation might still be too great. After all, texting to them is about as natural as talking on the telephone for hours was for those of us who grew up in the '70s and '80s. The numbers show what an uphill climb we, as parents, have ahead of us. 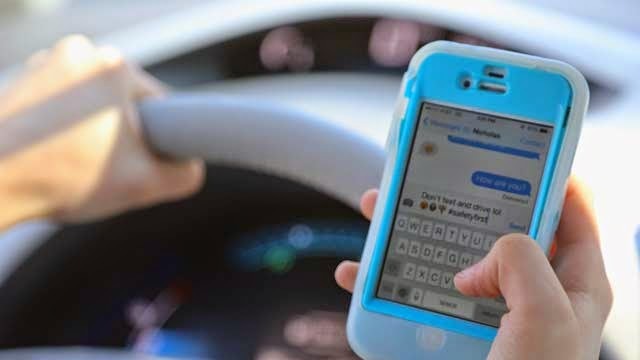 Fifty-five percent of young-adult drivers, in a survey by Online Schools, said it was easy to text and drive, while 34% of teens said they have texted while behind the wheel. And, 15% of young drivers have seen their parents text while driving, according to the advocacy group textinganddrivingsafety.com. The stakes couldn't be higher. Every day in the United States, more than nine people are killed and more than a thousand people are injured in crashes that are reported to involve a distracted driver, according to the Centers for Disease Control and Prevention. The agency says distracted driving includes activities such as talking on a cell phone, texting and eating. Currently, 44 states, including the District of Columbia, Puerto Rico, Guam and the U.S. Virgin Islands make it illegal to text and drive, reports the Governors Highway Safety Association. So, parents, here's where we have a role to play. Our kids watch everything we do, and so if we are going to talk on the phone while driving -- or if we dare to text and drive -- why wouldn't they think it's OK to do it as well? Janeane Davis, a suburban Philadelphia mom of four, said she has a definite policy when it comes to using the phone while driving. She will never do it. "I have taught my children by word and example that when you drive, you drive -- no talking on the phone, no texting, no checking email and social media statuses," said Davis, founder of the blog Janeane's World. She leaves her phone in her purse and on the floor behind her seat with the ringer off until she reaches her destination. "My children have seen me tell friends who tried to text while driving to let me out of the car if they wanted to do that," said Davis. "Not using the phone while driving is a golden rule, like always using a seat belt." Janis Brett Elspas, also a mother of four, said she may be one of the few drivers out there of any age who has never checked Facebook or email while behind the wheel. For her, it's personal. Friends of hers have been killed by people who were texting and driving, she said. "On top of that, 10 years ago, I was rear-ended by a guy on his smartphone and can still picture my amazement when he got out of his car to survey the damage he caused without even removing the cell phone from his ear to stop the conversation he was having," said Elspas, founder of Mommy Blog Expert. Her eldest son, who is in his first year of driving, has never texted while driving to her knowledge, she said. And her triplets, who will get their learning permits shortly, also know her "staunch position on texting and driving." "So, modeling the right behavior for my children, I believe, worked for me," she said. "To text or do anything on your smartphone or tablet in front of your children while driving tells them that it's OK to do it when they begin to drive." Having our kids listen to survivors' stories can also go a long way. Liz Marks describes herself as a popular high school girl who was addicted to her smartphone and was looking forward to graduation, the prom and her 18th birthday. "Everything in my life was heading in the right direction until it all changed by simply reading one message," said Marks on "The Lauren Galley Show" on blogtalk radio. The text Liz was reading was from her mom. Marks suffered a car accident that left her with a severe brain injury. She had to relearn how to walk, talk, read and write. She's now blind in one eye, cannot smell, cannot hear very well and can't create tears. "My life restarted all over again just because of that one simple text message I was reading," she said. Marks said she ignored the warnings about texting and driving because everyone else her age was doing it so she thought it was OK. She said teens also mirror what they see around them. "Parents are doing it or adults and then young people see that and they think that 'Oh they're doing it, so it's OK for me to do it too,' " said Marks on "The Lauren Galley Show." "We're creating this culture where we disconnect from our phones even when we are transporting children around, and I think that's really where it happens. It trickles down from the top," said Graber, who appeared on the radio show with Liz Marks. Graber, who also teaches "cybercivics" to middle school students in Aliso Viejo, California, admits she's personally been guilty of getting distracted by a text or tweet. "You hear that sound and you feel like you have to respond to it immediately," she said. "We have to remember that every time we do that, there's a child watching. Maybe it's a child that's not even watching yet but they're going to remember that that's a behavior that we have condoned." What do you think parents can do to keep their children safe behind the wheel? Share your thoughts with Kelly Wallace on Twitter or CNN Living on Facebook. Editor's note: Kelly Wallace is CNN's digital correspondent and editor-at-large covering family, career and life. Read her other columns and follow her reports at CNN Parents and on Twitter. You Will Never Text and Drive After This... We Promise! Even the most LOL-worthy text message is not worth risking your life to read while driving. That's the message of National Distracted Driving Awareness Month, or as you may know it, April. The U.S. Department of Transportation's (DOT) catchy slogan for its third annual campaign: "One Text or Call could Wreck it All." In 2009, distracted driving killed nearly 5,500 people and injured almost half-a-million. Another disturbing stat: 16% of all fatal crashes that same year involved distracted driving. But the campaign does have some hopeful statistics to share. Now that California's ban on texting and talking on a handheld cellphone while driving has been in effect for two years, road fatalities have fallen 22%. Other states are catching up. 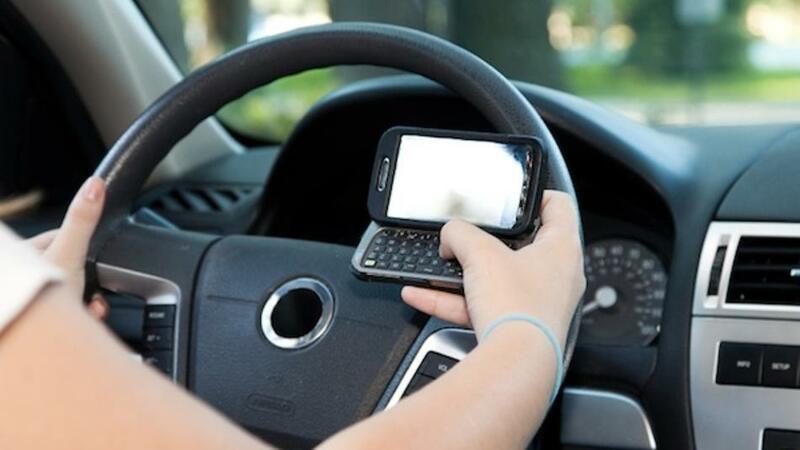 In West Virginia, a law prohibiting texting and using a handheld phone while driving will go into effect July 2012. West Virgina will be the 10th state to outlaw texting and handheld devices while driving, not counting Washington DC, Guam and the Virgin Islands. The DOT still has a lot of work to do to lower the incidences of car accidents caused by distracted drivers. A study by researchers at the University of Utah shows using a cellphone while driving — whether it's handheld or hands-free device — delays a driver's reactions the same as having a blood alcohol level at the legal limit of .08%. But cellphones are just the first frontier in distracted driving. The DOT is continuing to conduct research about whether or not GPS devices and hands-free headsets distract drivers by affecting cognitive abilities, Ray LaHood, secretary of transportation for the DOT, says in this YouTube video. During one pilot program in 2010 conducted by the National Highway Traffic Safety Administration (NHTSA) — called "Phone in One Hand, Ticket in the Other" — law enforcement witnessed a decrease in cellphone use while driving. The program was enforced in four waves over the course of a one-year span in Hartford, Connecticut and Syracuse, New York. In total, nearly 20,000 tickets or citations were issued. The results were impressive. In Syracuse, handheld cellphone use while driving decreased by one-third. In Hartford — where the instance of driving while using a cellphone was unusually high — there was a 57 percent decrease in handheld cellphone use while driving and a nearly three-quarter drop in texting while driving. To drive home the point, the DOT also hosts a series of video on its YouTube called, "Faces of Distracted Driving." Each of the videos highlight one story of fatalities caused by distracted driving. AT&T presented a similar campaign in 2010 with a 10-minute documentary called, "The Last Text," which has nearly three million views to-date. But not all countries are tackling the driving and cellphone use issue the same way. The Swedish National Road and Transport Institute recently said texting or using a handheld phone while driving is "harmless." The organization said there are no official statistics of how many car accidents are caused by distracted drivers in Sweden, but there are numerous studies that show driver focus is equally impaired whether drivers are using a headset or a phone. The biggest difference between the two was that drivers using headsets were more confident. In the U.S. at least it seems drivers and car companies alike have welcomed the idea of using hands free devices to communicate while driving. In-car technology such as Ford Sync allows driver to have their text messages read aloud to them or adjust music via voice control. But such technology walks the line between convenient and distracting. Plus, it's facing opposition by the DOT. What, if any, legislation would you support that restricts drivers' use of cellphones or other devices while operating a vehicle? Sound off in the comments.